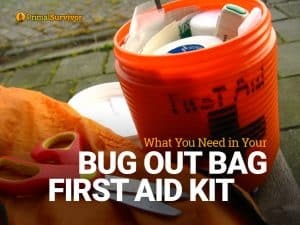 Having a Bug Out Bag is crucial for disaster planning. However, you can’t rely on the BOB alone. Thus, it is important to also have a survival cache – a well-hidden stockpile of survival supplies that you can access during a crisis. As I’ve talked about before, your Bug Out Bag could be stolen (read this post for tactics on how to prevent your BOB from getting stolen). There are also situations where you might not be able to get to your BOB. For example, if an earthquake hits while you are driving, you might not be able to get to the BOB in your trunk. Imagine how frustrating it would be to have your emergency supplies so close yet inaccessible! Some people also suggest using a survival cache to keep the weight of your BOB down. Nothing can be planned with 100% certainty, so it is best not to keep all your eggs in one basket. A survival cache ensures that you always have a backup. 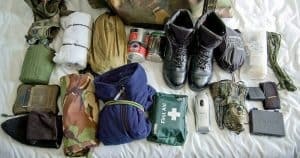 The contents of your cache will look a lot like your Bug Out Bag (see a BOB packing list here). However, you might opt for cheaper gear than what’s in your BOB. For example, I’m not going to bury my favorite survival knife which costs over $250. Since it is smart to have multiple survival caches, the price of gear could start adding up quickly. Don’t skimp too much on supplies for your survival cache though. A crappy knife is better than no knife, but I still want peace of mind that the gear could get me through a disaster. This is your survival we are talking about! Weapons and ammo: We are aware that there are legal issues around putting a registered gun in the ground. If it is accidentally found and used in a crime, you could be in for some serious trouble. It is also tricky to bury a gun. You can get some good advice on how to bury a gun underground from Backwoods Home. Water filter: Water is crucial for survival, so you want a way to purify it. We warned that some water filters – like my favorite Sawyer Mini – cannot be frozen after they’ve been used. The water residue inside them will expand and destroy the pores in the filter. So only bury an unused water filter of these type. Fire starter: This could be matches, lighters, or a ferro rod. Or all of them. Rope: Rope is one of the most useful items to have for survival for tasks such as setting up survival shelters to creating animal snares. Emergency food: You’ll want to bury foods like military MREs or jars of peanut butter. These withstand the test of time well. Clothing: Extra socks, a poncho, a warm jacket, hats, and gloves are good for your packing list. Flashlight plus batteries: You might want to put a candle or two in there also. Here’s a guide to the best EDC flashlights. First aid kit: Here’s a small first aid kit list to use. Multi-tool: Read the best survival multi-tools here. Fishing kit: Here’s how to make your own. Knife: Something cheap but reliable. 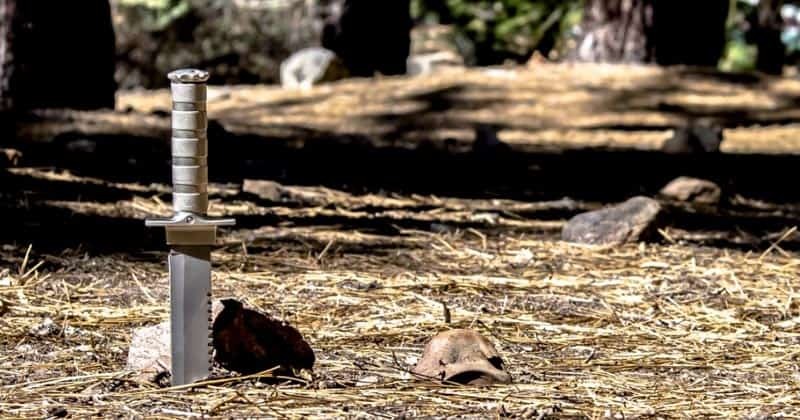 Top cheap survival knife recommendations. Maps: The kind with contour lines and have your bug out route/location on them. Emergency blankets: The metallic type. Bivvy bags are also good if you are making a larger survival cache. Hygiene items: Hand sanitizer, soap, etc. Items that could be used for bartering: Some people hide money in their survival cache. I prefer to put some barter items such as alcohol and extra first aid items. Your survival cache is meant to be used if you can’t get to your Bug Out Bag, or the bag is stolen. Likewise, you might need it if the supplies at your home or Bug Out Location are stolen. Along the route to your Bug Out Location: You’ll need the cache to be somewhere secluded so you can get it without drawing attention to yourself. It’s probably best to put several caches along the route to your BOL, especially if you have to travel a longer distance. Inside your home: YES, inside your home. If your home gets looted, you will still have some supplies for hunkering down. See these hiding places in your home. Near your Bug Out Location: Even if your BOL is remote, it could still be found and looted. Thus, you will want to have a survival cache nearby as a backup. Abandoned buildings: These could be used as refuges in crises. You may not be able to get to your cache discreetly. Flood zones: You could end up risking your life trying to get to your cache. Within sight: Make sure the cache is well away from main roads and escape routes. When talking about survival caches, we are usually talking about an underground buried stockpile (though your cache absolutely does not have to be underground!). The benefits of putting your cache underground is that it will be harder for others to find. 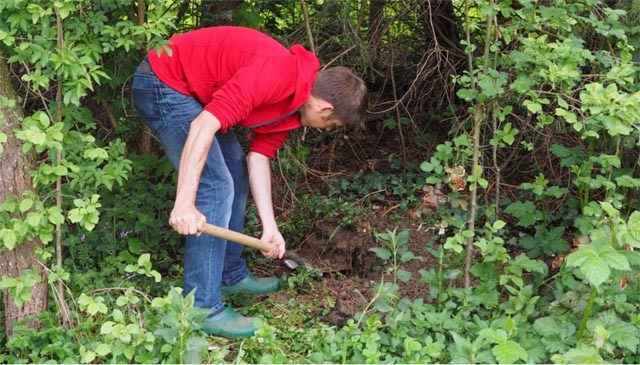 If you stick to remote areas, it is unlikely that anyone will accidentally dig it up. But there are some issues with burying – primarily that the contents could get damaged by water. Don’t bury it too deep. You want the survival cache to be deep – but not so deep that you can’t get it out later. Keep in mind that you might not have a shovel with you when going to get it! Remember that landmarks can move. You might put your cache near a log or big rock to help you find it later – but don’t count on these landmarks being there later! Even big trees or boulders might get moved (such as if a logging company comes through or flooding occurs). Use detailed maps, including GPS coordinates. You’ll need to make a “treasure map” of how to get to your survival cache. This needs to be incredibly detailed. Since landmarks might move, you’ll want to use an alternate system, such as being able to count paces to the spot. 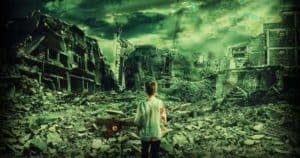 GPS coordinates are incredibly useful, but a GPS system might not be working in the aftermath of an emergency, so even this method requires a backup. Dig up your cache at least once yearly. This is how you can make sure it is still there, that the contents are still in good condition, and that you can still find it. Pay attention to whether any development is happening in the area. 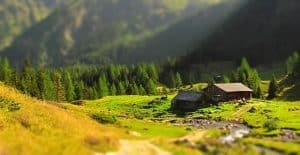 Property can be abandoned for years and then suddenly bought for development. Pay attention to what’s happening in the area so you can get your cache moved before someone finds it – especially if you are burying weapons! If your gear isn’t in the right container, the contents can quickly start to rust or deteriorate. In my opinion, a PVC container is the best option (more on how to make one below). When made correctly, the PVC cache is completely waterproof and animals won’t get into it. Even if someone finds it, they probably will think it’s just an old pipe and won’t bother opening it. Depending on what you want to cache, you might not even need a container. This guy buried rifle just in garbage bag surrounded by foam padding. I wouldn’t risk burying a rifle this way, but his rifle was okay a year later. As mentioned before, I think a PVC cache is the best container choice. It is waterproof (when sealed properly), won’t corrode, and animals won’t get in it. Most importantly, the PVC cache is discreet. Most people wouldn’t think twice if they stumbled across a piece of PVC buried somewhere. This video shows how to make a PVC survival cache. 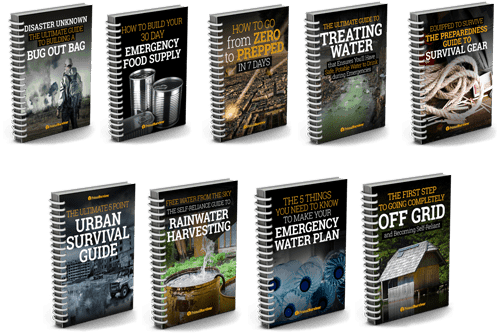 Your survival cache is meant to supplement your Bug Out Bag. Make sure you’ve got a solid BOB packed and have an emergency plan in place. Then you can take the step of laying out survival caches along your bug out route. 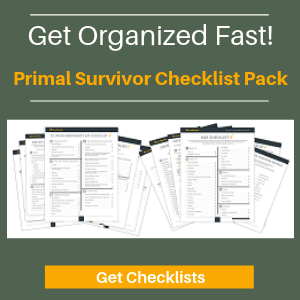 Do you have a survival cache? What’s in it? on the way to my BOL is a hunting lease I use. I leave a tree stand and a duck blind most of the time except when maintenance is necessary. found a place under some large deadfall for bear canisters to bury. stepped it off from tree stand and blind. Well thought out cache Lynx. For sure, a cache can be invaluable in a hunker down situation also. Something to include in all cases would be a firearm of some sort. The most immediate threat is the confiscation of known weapons. The Fascist state of Illinois has declared their F.O.I.D. cards VOID! 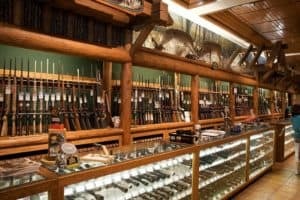 You have to have one to buy ammunition there! And carry permits are next. Semi-auto weapons are on the slate also. Illinois USED to be a great state; key word, USED to. When burying a PVC pipe, make sure you include some desiccant to absorb any moisture from condensation.